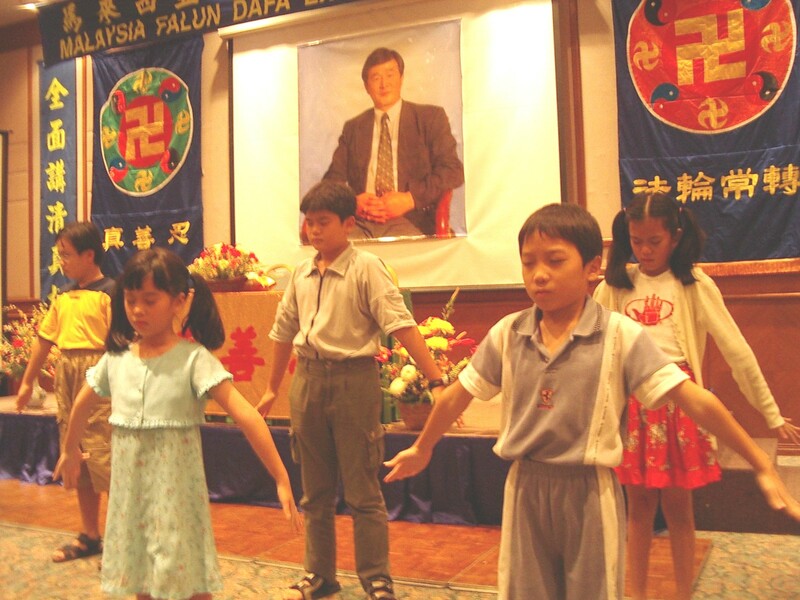 (Clearwisdom.net) The First Malysia Falun Dafa Cultivation Experience Sharing Conference was sucessfully convened in Kuala Lumpur on November 23, 2003. The conference was held in an auditorium of a hotel. Two practitioners started the conference with a poem paying tribune to all practitioners peresecuted in China. 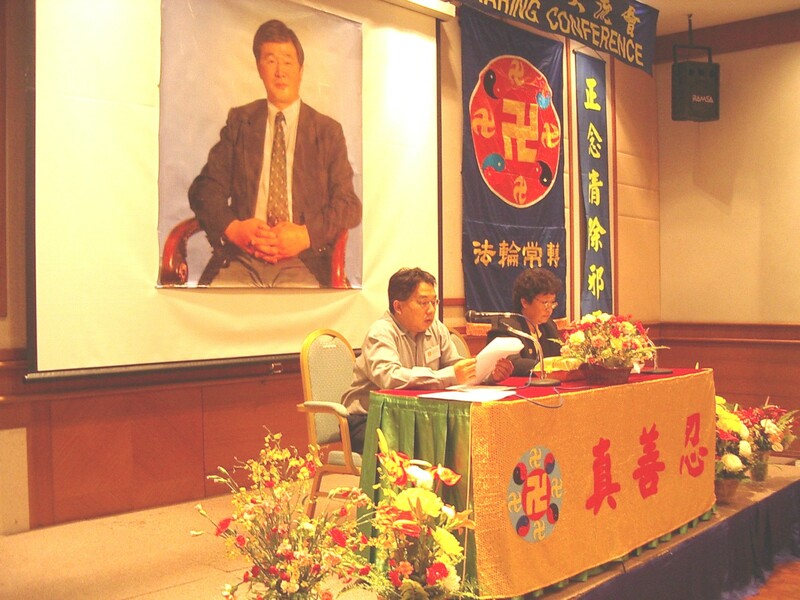 During the day long experience sharing conference, 20 practitioners shared their cultivation experiences on how to increase collaboration and upgrade as one body, follow the Fa rectification process closely, break through human notions, abondon attachments, do three things (studying Fa, sending forth righteous thoughts, clarifying the truth) well during Fa rectification period. Many practitioners expressed that the experience sharing made them realize their strengths and shortcomings. They had benefited a lot from the sharing. After the speeches, several practitioners sang "Be Saved"; "Return Road"; "Wish" and other songs created by practitioners. Several young practitioners demonstrated the five sets of exercises. 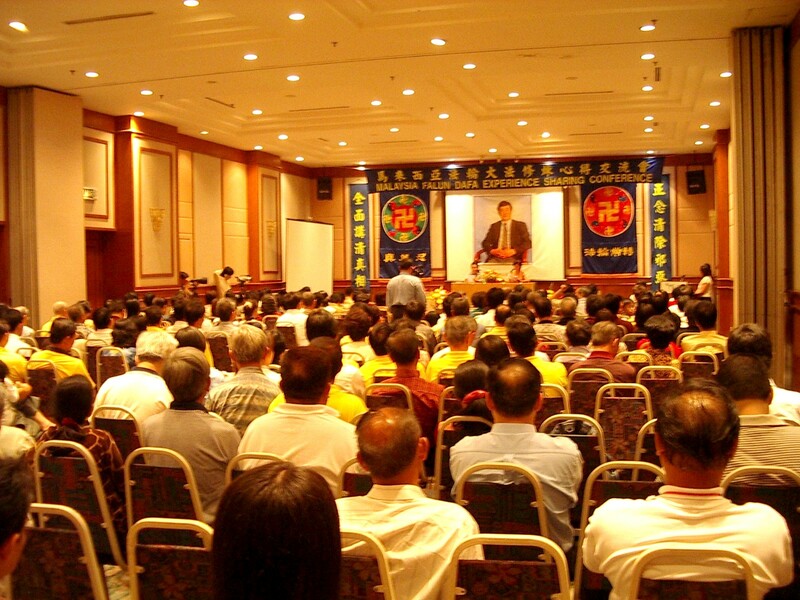 The conference successfully concluded with song "Falun Dafa is Good." Through this experience sharing conference, practitioners in Malysia will strive to do better together with practitioners around world in clarifying the truth and offering salvation to sentient beings, fulfilling their responsibility as Dafa disciples.